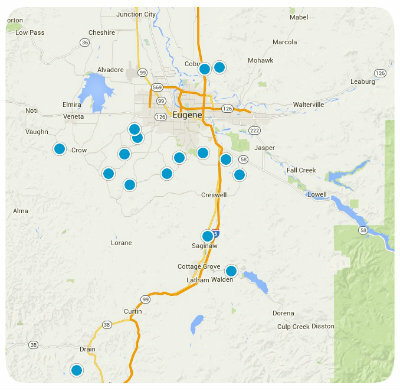 Glide is a small town located 19 miles East of Roseburg, where you will find your city resources. It has a population of 2,022 residents and is a close-knit community. Glide is the home of the Colliding Rivers, where the North Umpqua River meets Little River head-on. This is the only place in the world where this occurs! This is also the town that hosts the largest wildflower show in the entire Pacific Northwest, featuring over 600 species and bringing in thousands of visitor each year. If you have any questions about Glide or any homes for sale in Glide, please let us know!